The 1100 Series valves are designed specifically for the dosing industry. Offering exceptional reliability, flexibility and safety, they meet the needs of dosing pump manufacturers, dosing system builders and end users alike. Optional features can be incorporated including vent alarm, security locks and manual lift. 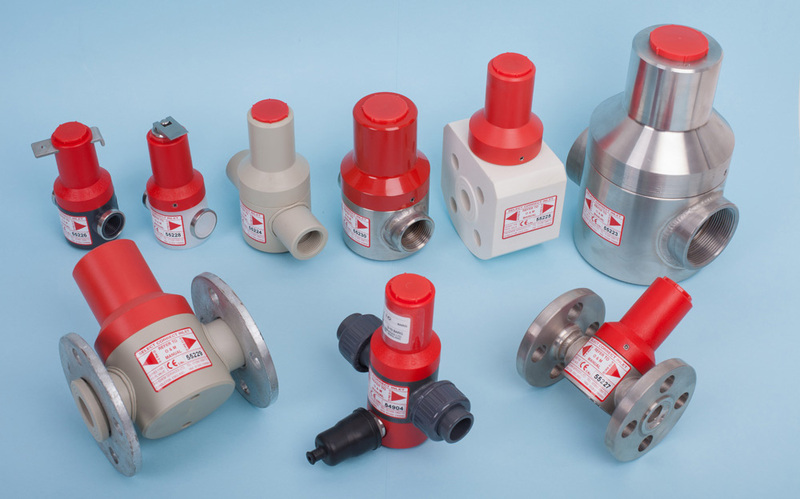 All valves are available to match all types of connections and pipework standards. The sizes and capacities available provide the flexibility to match virtually any pump or system throughout whilst retaining uniformity of design, operational familiarity and – when required – spares. The valves operate on the spring loaded diaphragm principle and although designed initially for use within dosing systems they are equally suited for installation on any other pressure relief or loading duty consistent with their type and design. Relief valves are in compliance with PED 2014/68/EU. Pressure relief of dosing lines. Pressure sustaining (loading) for dosing pumps. Pressure relief for P.C. or other positive displacement pumps. Flow checking (where supply pressure is higher than pumped discharge pressure). Combination back pressure & check valve.